Dave Burkitt, english explorer, adventurer and guide reminiscing about his time at Port Lockroy in Antarctica. 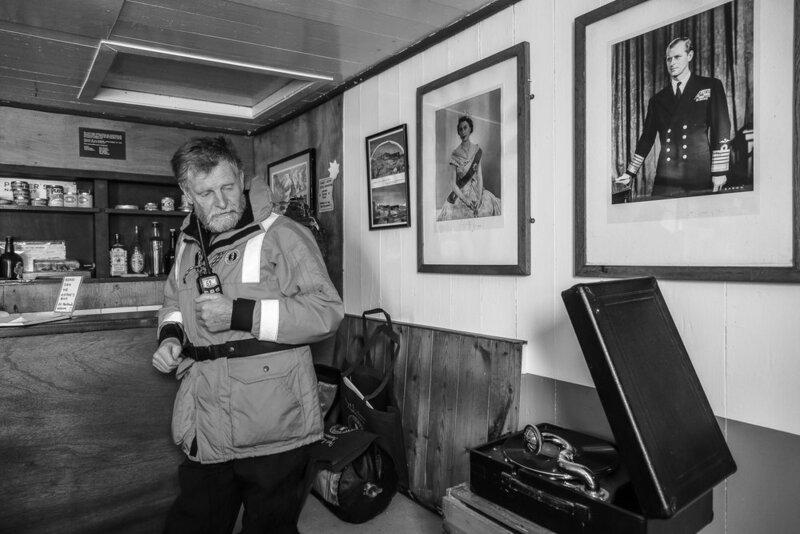 Here's a photo of a lovely man named Dave Burkitt at Port Lockroy in Antarctica. Dave is an English explorer and Antarctic historian who first visited Antarctica during the 1970’s. Dave is a recipient of the Fuchs Medal awarded by the British Antarctic Survey. 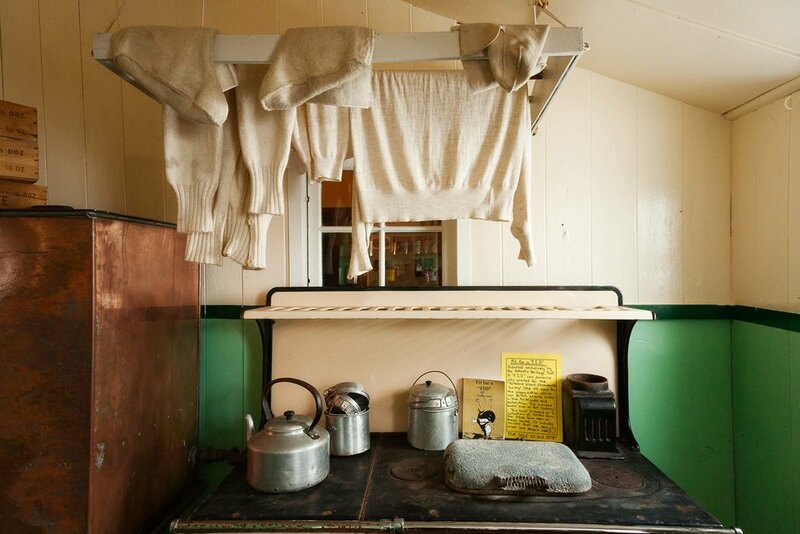 Stovetop and basic kitchen appliances in the historic research centre at Port Lockroy in Antarctica. I visited the small station at Port Lockroy, the restoration of which was led by Dave, on a photography tour I co-ran to Antarctica back in 2010. Dave came along as a special guest speaker and lent a hand as one of the zodiac pilots. I was fascinated to learn that the base was once a secret British military base. 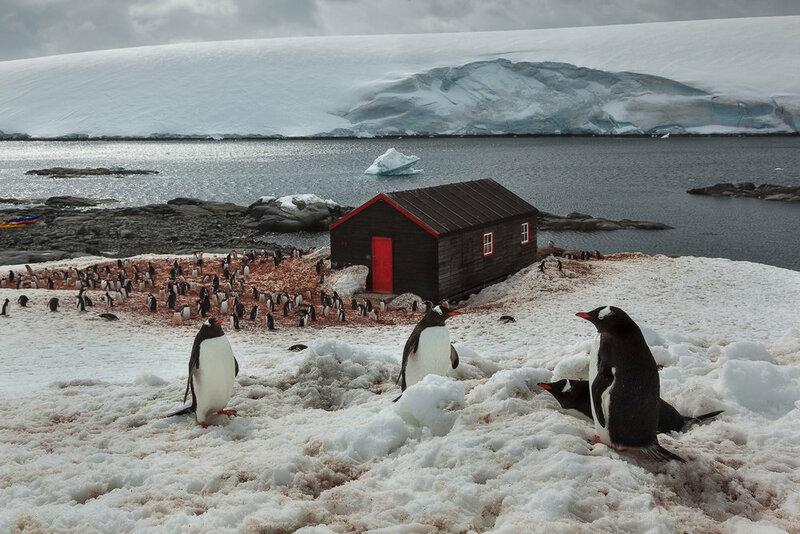 It’s now a tourist stop on the Antarctica trail and Britain’s most southerly public post office. I had a drink with Dave one night on the ship and I found him to be a really decent, unassuming and humble bloke. Dave is the antithesis of the celebrity seeking influencer so common in our world today. I know I’d much rather spend my time with someone who’s actually done something with their life other than drone on about their totally inauthentic existence. There, I said it. I really like the candid nature of this picture of Dave at the top of this post. I love how the old portraits of Queen Elizabeth II and Prince Phillip (Phil the Greek, as he's sometimes known), as well as the record player, add to the nostalgia of the moment. Dave was listening to an old tune at the time this image was made. You can see how the memories came flooding back, thick and fast. At one stage he even began to dance with a member of the crew. Apparently his experience in polar regions, and the reputation that had earned him, meant Dave was being offered cruises all the time but, as he explained to me, he was getting older. Moreover, he was English and didn’t like leaving his garden unattended. To have lived such a rich and rewarding life and to be able to enjoy his retirement, in his own home and garden, is a dream I hope Dave will be able to enjoy for many years to come. It was a privilege to have met Dave Burkitt and I wish him well for a long and happy retirement. I really like the candid nature of this picture and how the old portraits of the Queen and Prince Phillip (Phil the Greek, as he's sometimes known) as well as the record player add to the nostalgia of the moment.